Indie Retro News: Deep Core Raider - Loved Thrust? Then play this new ZX Spectrum game! Deep Core Raider - Loved Thrust? Then play this new ZX Spectrum game! 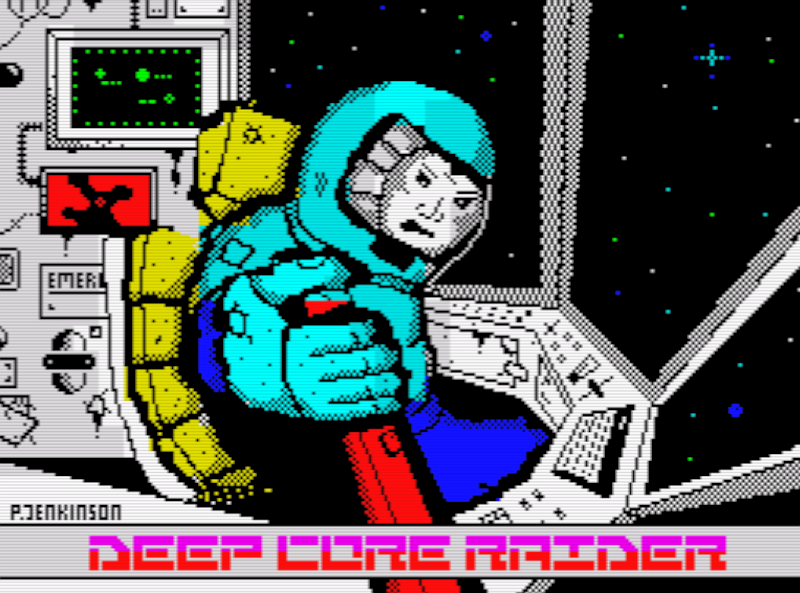 Unlike thrust you play as the 'Deep Core Raider' hence the name. A part of a small breed of individual such as interstellar pirates and thieves, that are out to steal the resources from large corporations found deep below the planets surface. These large corporations have set up defences across the universe to protect their new found investment, so it's down to you to steal it from them without being blown up into lots of little pieces. Before you even begin playing the game, already from the screenshots provided you can certainly see the Thrust inspiration. 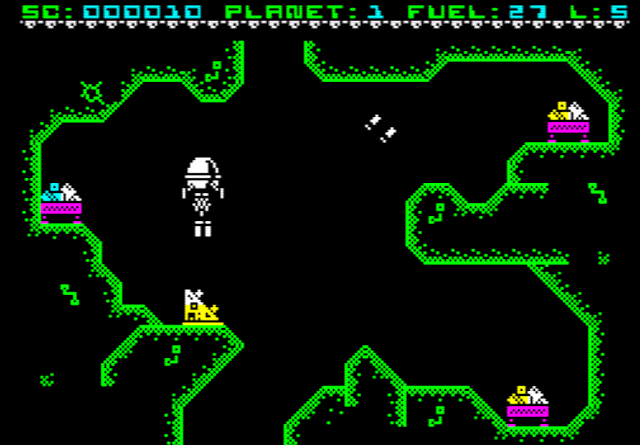 A very difficult landscape for you traverse around, enemies that are trying to blow you up, and yes even fuel which can be refuelled at certain points of the game. 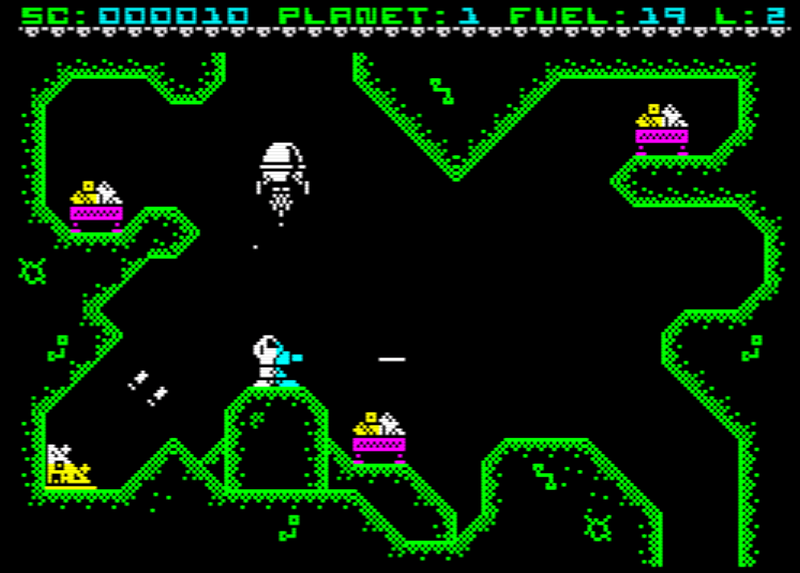 What differs from Thrust however, is the fact that you can only shoot down, there are resources to pick up instead of orbs, and the graphics are much much better. What does let the game down though, is no music in game, I couldn't blow up any turrets even after shooting at them 20 times, and there was no way to go back up the screen once you've moved on to the next one. For what it is worth I didn't play the game very long because of how many other articles I have to get through, but what I will say is this, if these *issues? * are fixed, this could well be every bit as good as Thrust if not more so.